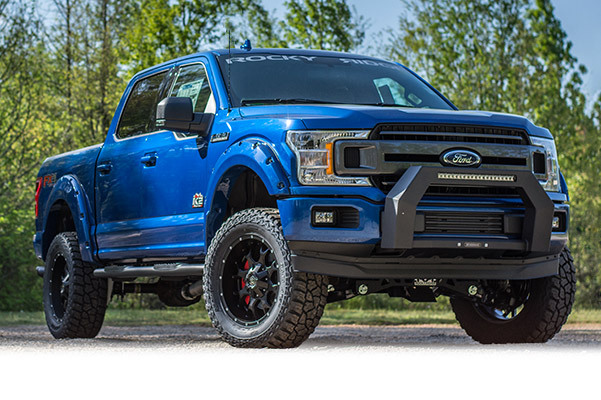 Our Ford dealership in Silverthorne, CO, has the Ford lifted trucks for sale that you've been looking for. Whether you want to explore the beautiful trails that Colorado has to offer or want something that stands out from the pack, you won't be disappointed with a Rocky Ridge lifted truck. A lifted Ford truck is exactly what you need to conquer the road and get the most out of your daily drives and adventures. Learn more about the Rocky Ridge lifted Ford trucks for sale at Summit Ford, then come buy or lease a lifted truck! When you buy a lifted Ford F-150 from our dealer, you get to experience America's best-selling truck in a whole new way. Ask our sales experts about the lifted Ford F-150 pickups for sale and let us know what you're looking for in a lifted truck. We can tell you all about the different Rocky Ridge Ford F-150 packages and help you select one that's perfectly suited to your needs. 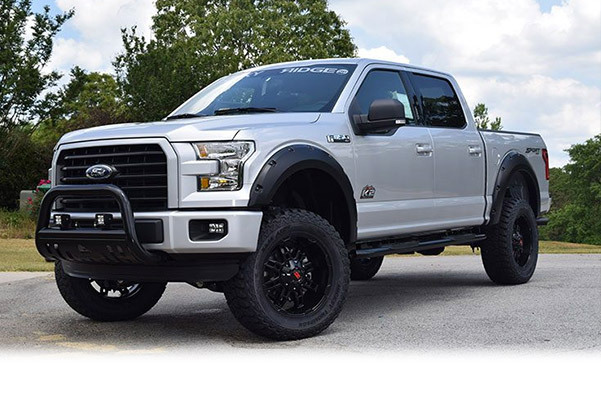 From the F-150 Mad Rock and Alpine to the Ford F-150 Raptor Stealth and Black Label, our inventory of lifted Ford trucks for sale includes everything you need. 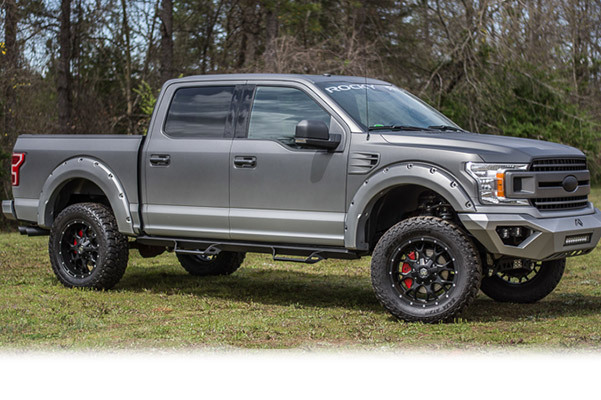 If you want to buy a lifted truck or learn more about Rocky Ridge pickups, contact Summit Ford. We don't sell lift kits, but you can easily schedule a test-drive or drop by our Colorado Ford dealer to browse our vehicles and buy or lease the new lifted truck that you've been eyeing. We'll be happy to go over your Ford lease options and help you secure financing rates that fit comfortably into your budget. Buy or lease a new Ford lifted truck at Summit Ford!